Mystics have said, “connect to the heart and align with yourself” Does the core of optimal performance sit in opening the door to the heart of flow? Does the personal awareness of your own heart rate variability assist not only in performing a task in flow but developing a possibility of a life in flow? Let’s have a look at the recent study of Science and research of HRV and Flow and then you can decide afterward. I take it that you probably have measured your pulse before. And oftentimes we also hear that 60 beats per second are the normal heart rate for healthy people. But did you know that our heart does not beat at a constant frequency? In fact, the time differences between our heartbeat are different. It can be 0.9 seconds, 0.3 seconds, 1.5 seconds, etc. These differences in our heartbeat are called the heart rate variability. HRV are often used to monitor our heartbeat when were physiologically or psychologically stressed, or if our training and recovery regimen is good for us or not. Why Do We Need HRV? What does it represent? The Autonomic Nervous System (ANS) consists of 2 main branches namely: Sympathetic and Parasympathetic branches. As you already know, the sympathetic branch is responsible for our fight or flight response. While the parasympathetic is responsible for our rest and recovery process. Our Autonomic Nervous System constantly adapts to external and internal changes in order to maintain balance in our body. And since ANS also regulates our heartbeat, we can use HRV as a basis on how well we react to stressors. One way of measuring HRV is through rMSSD. RMSSD is computed as an index of your vagally (Vagus Nerve) mediated cardiac control which captures respiratory sinus arrhythmia (RSA). For those who didn’t know what respiratory sinus arrhythmia is, it is the variation of heart rate when you’re breathing. The term “sinus arrhythmia” are often used to describe the slight fluctuation of your heart rate as you breathe. The R-R interval on an electrocardiogram (ECG) is shortened during inspiration and prolonged during expiration. Your RSA can be considered as a window to your autonomic nervous system. It controls physiological parameters like your heart rate, blood pressure, and it relays information to your cardiovascular system. This becomes then the basis of measuring your HRV. The changes of your HRV often happened during respiration. During inhalation, your HRV speeds up (sympathetic activity), while during exhalation, your heart rate relaxes and slows down (parasympathetic activity). RMSSD is an accepted measure of parasympathetic activity and correlates very well with HF of frequency domain analysis. LF/HF – Low Frequency/High-Frequency Ratio: Once thought to represent the balance between sympathetic and parasympathetic activity, however, this remains a hot topic of debate. Judging from the analysis above, we can conclude that when your rMSSD is high, it means your body is relaxed. And when it's low, it means your body is stressed. This information is crucial when measuring your effectiveness in a workout, or flow state! 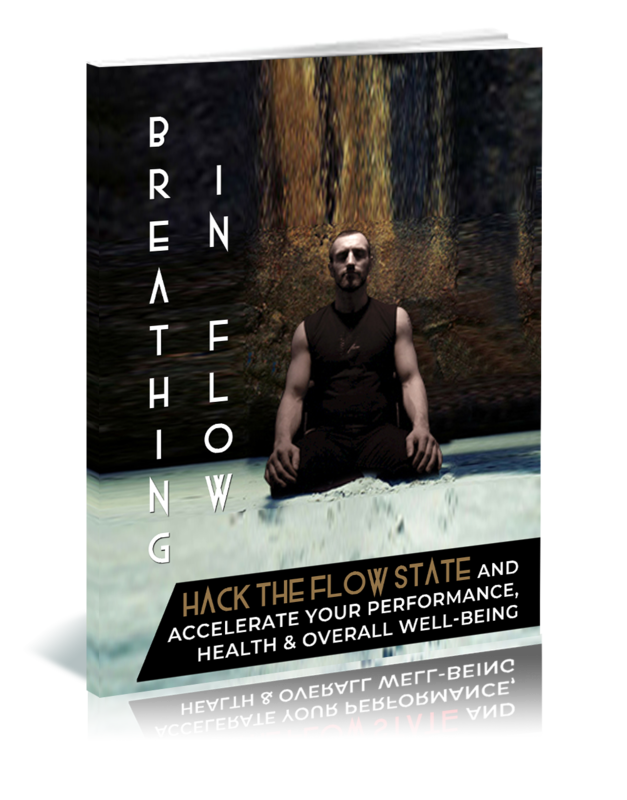 In fact, I use HRV to help you hack into the flow state and master it! I've mentioned before the four cycles of Flow State. Our HRV and ANS will help us determine which cycle of Flow we're currently undergoing. How, so? Let me explain it in detail. The moment you enter the Struggle Phase, your Autonomic Nervous System will activate the sympathetic branch. This will activate your fight or flight response. And when you're struggling, you often feel frustrated, anxious, and stressed as you're trying to regain control over your workout. This, in turn, will raise your cortisol levels at unimaginable levels, causing your heart rate to . . . you got it right! Increase! When your heartbeat increases, the interval between your HRV decreases. Quite confusing? Let us take an example of this analogy. Let's say you're running in for a marathon. Before the marathon starts, your breathing is even. You will notice a significant interval between your heartbeat. As you run for a few miles (or at the end), you'll notice that your heart is beating like crazy! There's a loud pounding in your chest and you felt you can hardly breathe. Thus, the interval between your heartbeats is incredibly short, This is because your heart is trying to pump oxygen as much as it can to balance your body. The stress of learning a new skill, task, or exercise is often measurable. This usually happens as you begin performing the exercises and workouts to hack the flow state! And since stress is measurable, we can start measuring flow if you believed that you could overcome and master the task. Which leaves us, to the next phase! When you are in a release phase, this is where you've overcome your struggle in working out or exercise. This is where you regain control of the situation and the stressful phase is over. your heart rate started to relax and flush the chemical stressors out. Nitric Oxide process flushes out the stress chemicals in your body (namely cortisol and norepinephrine) while bringing out the dopamine, endorphins, and anandamide. As your breathing started to even out, your HRV will gradually increase and your brainwaves also fall down from beta to alpha pattern. This phenomenon will take you to the doorstep of the flow state. When you're finally dissolved into the flow state, our HRV suddenly hit the ‘sweet spot’. Using Csikszentmihalyi flow diagram as a guide. We can have a steady progressive balance in our HRV. The communication between our Parasympathetic and Sympathetic nervous system are in Flow, our personal HRV ‘sweet spot’. In this state your (lower mind) conscious brain starts to shut down and opens your (higher mind) subconscious mind. Everything around you begins to merge into the action you're undertaking. Aligning your focus on getting the task done. This is where your HRV generally falls into the mid-range. It meets the borderline between low rMSSD and high rMSSD. When you finally recover from the flow state, you'll find your HRV flipping again. This is because, in this stage, your brain produces good chemicals like serotonin and oxytocin. In this stage, you'll find yourself aware of your surroundings as you contemplate what just happened while you're in the flow state. Because of the good chemicals, your body is releasing, you feel refreshed and invigorated after a rigorous workout. Your HRV will slowly increase again as it falls into your relaxed state. In an experiment conducted by Dr. Paul LaFontaine, we can conclude that flow is consistent with data, as shown in the HRV results. Flow also resonates with our belief of capability. Once we declare that we “can do and overcome” the task at hand, we will be able to do it.